Here’s how to spend the perfect 48 hours in Xian. 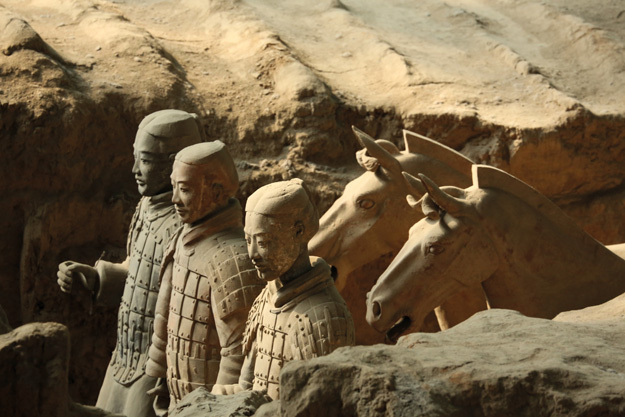 Start your exploration of this ancient city by visiting its most famous find: The Terracotta Warriors. Discovered by accident by local farmers in 1974, this form of funerary art depicts the armies of the first Emperor of China, Qin Shi Huang. Over 2,200 years old, stand amazed as you gaze upon row upon row of life-sized figures, all with unique features and standing in rank formation, some still being pieced together. You can even look at life-sized terracotta horses and a chariot expertly crafted in bronze. Xian is the starting point of the Silk Road, the ancient trading route that extended from China through the Middle East all the way to Europe. Whilst spices, tea and garments travelled along the route, so did new cultures and people looking to set up businesses in different countries. A corner of Xian is now known as the Muslim Quarter, where you can spend the afternoon shopping for stunning fabrics and fragrant spices. 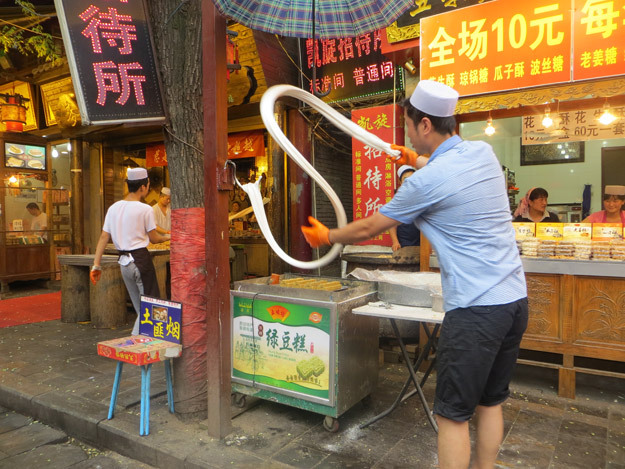 You can also try the local street food – the perfect fusion of Persian and Chinese cuisine! 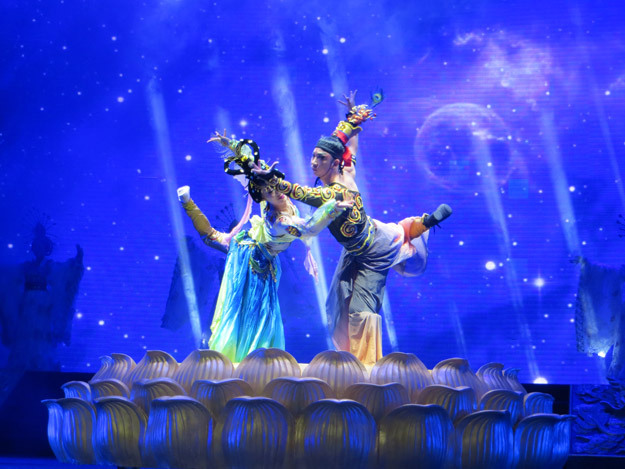 Spend your evening enjoying a Tang Dynasty Dance performance, which showcases the grandeur and vibrancy of the Tang Dynasty through traditional music and choreography. As the performance takes you back in time, enjoy a traditional dumpling meal, known as Jiaozi. 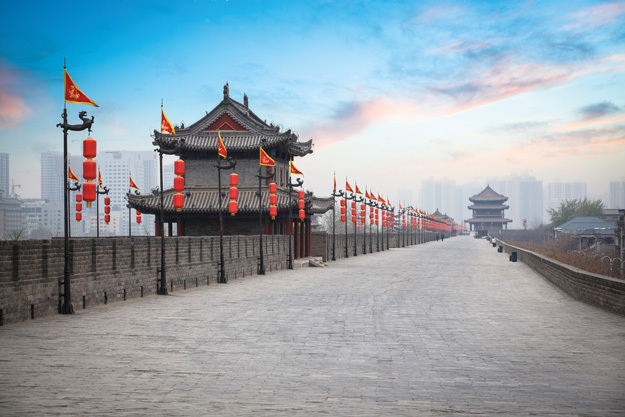 Start your morning with a walk on Xian’s Ancient City Walls, one of the oldest, largest and best preserved city walls in China. Rectangular in shape and 8.7miles long, it certainly takes your breath away. Complete with parapets and watch towers to defend the city against invaders, you can marvel at its engineering by foot or by bicycle. The stark contrast between the old bricks of the wall juxtaposed against the modern buildings of the city both on the inside and the outside of the wall make for excellent photos. China has some of the most interesting museums in the world, including Xian’s Shaanxi history museum, which is one of the best. Spend the afternoon exploring its numerous floors for wondrous treasures, including pottery, paintings and bronze wares, all the way from prehistoric times to the Tang Dynasty, after which Xian’s tenure as China’s capital came to an end. 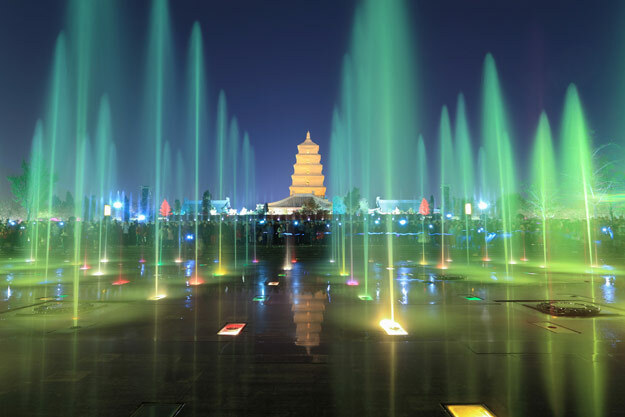 Spend your last evening in Xian visiting the Big Wild Goose Pagoda, located in Dayan Pagoda Northern Square. Whilst many come to marvel at one of China’s most famous Buddhist pagodas, in the evening the square is filled with tourists and locals alike to view its famous musical fountain show. Be dazzled by the illuminations and snack on local delicacies as you tick Xian off your bucket list and say goodbye to this delightful city. You’ve now spent the perfect 48 hours in Xian! 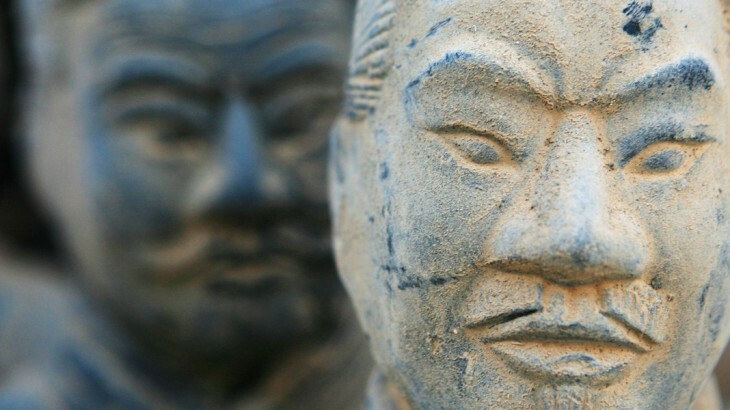 Find out even more on our Xian tours page. Visit Xian with the UK’s leading China Experts, Wendy Wu Tours. 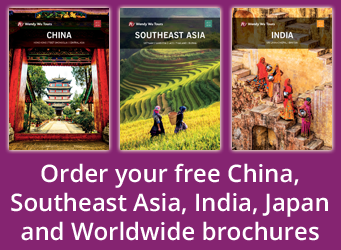 Our award winning escorted, fully inclusive tours to China visit all the major sights for an unforgettable holiday. China sightseeing, top things to see. permalink.